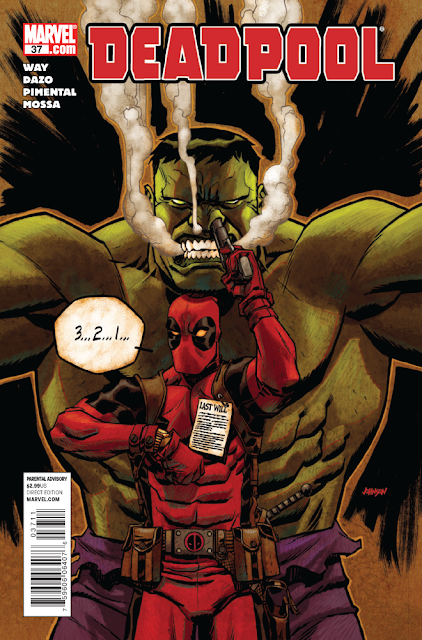 Marvel has provided the following preview of Deadpool #37, which comes out next week on 5/25/2011. The end begins here! 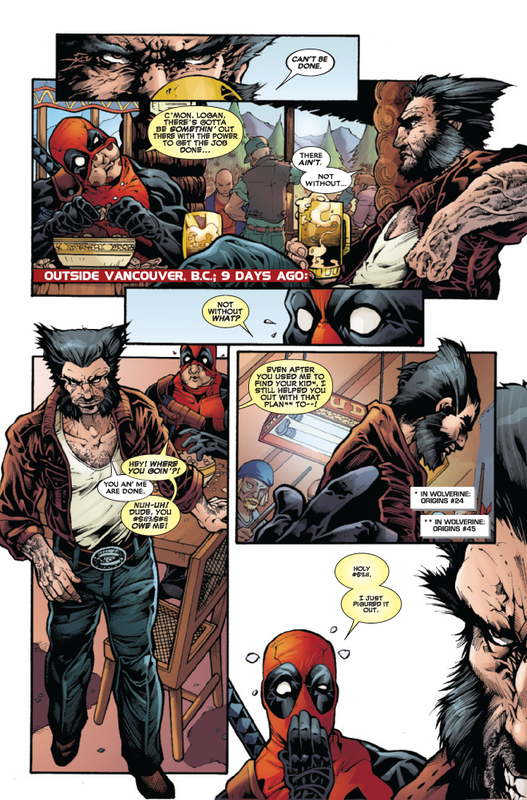 Deadpool has now fixated on achieving the one thing that’s always been beyond his reach—death. 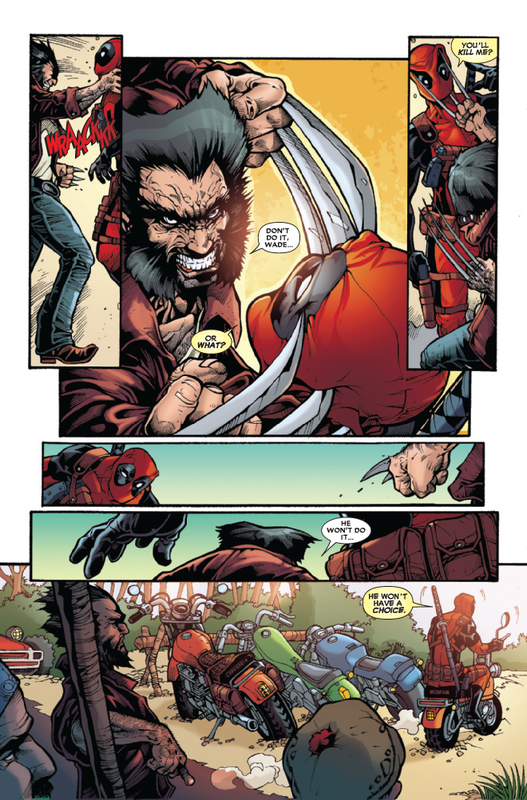 Not an easy thing for an un-killable man to achieve, but that’s not gonna stop him from trying. But first, he must figure out the all-important question: How? 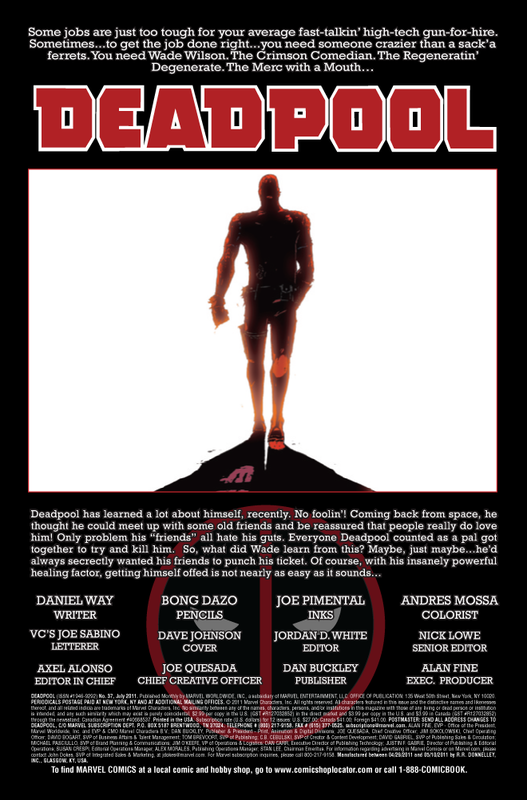 What in the world can kill Deadpool? It has to be big. It has to be powerful beyond description. It has to be…green?